That is disgusting! I was raised with hunters and not one of them ever did that. I'm so sorry you have to deal with this garbage, Lisa. Ick. What a way to wake up! I am so grateful I now have a fenced yard for the dogs. I have UNfond memories of the tar puke and the various body parts dragged into the yard. Ugh! I haven't encountered any pee bottles, but I haven't been out on foot much lately. Idiots! What a mess! I can't imagine having to see those bottles all the time! I know too many stories of hunters shooting for "sound" and I have one friend who was shot through the chest as a teen and, thankfully, survived. I'm glad I don't run the trails much anymore as I worry about stray bullets or a "sound" shot. I will say I come from a family of hunters and my son loves to hunt BUT I agree whole heartedly with what you are saying!The property next to us has the exact people you are describing...they drink like crazy and leave the trash and cans all over...it is disgusting.I have taught my son so much better than that.We use the Boy Scout motto...leave no trace...and we would never trophy hunt! I agree with you 100%, Lisa, and my hubby has hunted deer every year since he was a teenager. I hope you wear blaze orange when you run -- a vest or a cap, to help you stand out. I get the peeing in a bottle thing -- but yes, bring it home and empty into the toilet. Geez! Oh, that is so gross!!!! People have no respect for others sometimes! Bottles of pee is so gross! I feel the same way. I have a friend here who lives on a cattle ranch, and every year the hunters cut through the fence and a cow gets out and often gets hit by a car. When we lived in western New York, hunters shot more hunters than deer it seemed! totally agree with you. it's a respect thing. hate littering of any kind. Oh, yuck. You are so right in complaining about irresponsible people!! I can say ditto to Jill's comment. I was raised in a family of hunters, putting food on a table, and we taught to resect the land. I'm sorry you are having to deal with hunters who weren't taught any better. Good rant Lisa. We are fortunate to live in a development so hunting season is not an issue for us--but it does limit our outdoor hiking activities with the kids. I totally hear you on this one!! My Hubs is a Hunter, I hate the thought of killing, but I knew this when we met.... so. I accept it. 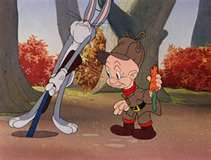 I would like to get a hold of some of the hunters who poach, litter etc.... Maybe we could teach them a thing or two. I come from a family of hunters and I couldn't agree with you more. It's always the bad apples that have to ruin it for other people. That's so gross. I honestly hate hunting and hunting season. You know what gets me? People who throw their cigarette butts out of their car windows! This breaks my heart. My roots are in Appalachia and I was raised around hunting. Our family ate the meat, meat I would hesitate to feed my kids now because of pollution. In our area, most top predators are gone, hunting is necessary to maintain healthy animal population. The hunters in my family love those animals too. They are naturalists who love our mountains and the creatures within them. The children, grandchildren, and great grandchildren of Cherokee women who made Irish and German grandfathers modify their farming to protect the land. On your behalf, and on theirs, this hurts my heart. Same with fishing (which is kind of hunting if you think about it) - there's always some idiot who couldn't care less about the environment or the wildlife. Is there an open season ON the hunters Lisa? Oh mercy. Don't blame you a bit. And, please be careful when you're running, Lisa. I read this to Phil, and we were both horrified! He says this is horrible! If you could ever find out who is doing it, maybe you could charge them with trespassing. That is so disgusting. Littering makes me furious, but littering by throwing out water bottles full of urine??? Sickening. We have problems in this area also with hunters taking the racks and leaving the poor deer. I don't blame you about not letting people hunt on your property. We won't give permission for anyone to hunt on ours either. Nasty to have to clean up, get out those gloves. Hi Lisa, Everything in life should be done responsibly.. Unfortunately that doesn't always happen.. Hubby and I carry an extra bag to pick up people's trash when we hike in the woods... People can be so irresponsible.... Grrrr. Oh boy. I could have co-written this with you. I dread the day hunting season starts and I live for December 1st when it ends here. I miss running my roads every fall and hate the dread I feel when my daughter goes out to ride her horse and the boys play in the yard. Luckily...I have yet to find bottles. Good post. We know exactly how you feel. We live very remote and far away. Hunters poach all the time and leave the carcus to rot and smell. The wind always seem to blow the awful smell of rot through the forest and to our house. So many times we see dead baby fawns with their feet cut off! All kinds of bottles and cans everywhere.. and besides all that-- the hunters that are shooting on our property. I have hunted since I was a small child and I have NEVER heard of the peeing in a bottle thing....that is just GROSS and to just leave them is even worse! I agree completely with you about irresponsible hunters! I love wild game and will not kill anything I am not going to eat. Although, in my opinion, the deer and elk in Arizona aren't very good so every year TJ and I would donate our meat to homeless shelters. We still got to enjoy hunting and the meat fed needy people. Additionally, I am an archery hunter not rifle. Archery is much more challenging. I stay out of the woods during rifle season because yes, they will shoot at a sound and if scares the hell out of me! Oh wow. That is just deplorable behavior. Here where I live a lot of people hunt, but I've never seen nor heard of anyone doing those things--taking just the rack or leaving their pee bottles behind. SHAME on those hunters in your woods! I think Dateline needs to do an undercover investigation on the carcass and pee bottle leavers. Seriously-that's so disrespectful!!! I'd be frustrated too. The worse part of it all is...those hunters are the ones that can't understand why landowners won't let them hunt on their property... or why non-hunters have such a bad taste in their mouths when it comes to hunting... or why new laws are being introduced daily to stop hunting. They are the cause of it and don't even realize it. Just a little respect for others and the environment would go a long way. Some people will never get it. As you know, I am hunter but when I read about other hunters like these...I hate hunters, too. So far it's not been to bad here for hunting season. It's not over yet though. I've never seen pee bottles on the side of the road. Maybe the hunters here either pee before they leave home or they get their deer sooner and leave the woods earlier. So far I'm happy to report that my dogs haven't brought home any deer parts! And I'm so happy that they haven't brought home the bonus head too! But like I said, hunting season isn't over yet. It could happen any day! lol We only let a few responsible hunters that we know personally hunt on our property. Oh Lisa....I feel exactly as you do. Yes, we also get the wonderful green (my poacher must like Mt. Dew) bottles full of pee. Our land is also posted and the land that surrounds us is posted. Gives all hunters a bad name. I dread it every year.